Celebrity English: DIDO IS BACK! Dido is back! The Mega Successful English singer-songwriter released the highly anticipated “Girl Who Got Away” early this month! Already climbing up the international iTune charts, Dido is on track for a fantastic 2013! Where did Dido go? What has this wonderful singer been doing? Dido now has a 2-year-old son named Stanley with British screenwriter Rohan Gavin. Why did Dido come out of retirement? Did the birth of her son impact her latest album Girl Who Got Away? No, because he wasn’t born yet. However, young Stanley was in the womb while Dido was recording Girl Who Got Away. How does Dido feel about motherhood? Cheers to a successful return! We are glad to see Dido back on the international music scene! Here is the lead single Freedom (Lyrics Below)! This week some more music to expand your Karaoke repertoire! To help remember the words, listen to the song once or twice to get a feeling for it. Now listen again and fill in the blanks with the missing word or words you hear. Some blanks are missing one word but others are missing more than one word. Just to let you know, the words that are missing are key words/ideas from the song. Also, the missing words are high frequency words (answer transcript below). Enjoy! Take your heart above the ________. 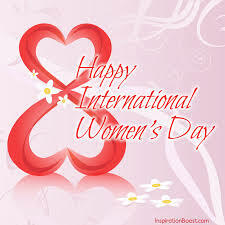 Have a great week and to all the women out there, HAPPY INTERNATIONAL WOMEN'S DAY! Great music and awesome lesson! Beautiful! Couldn't ask or expect more. From one of the Greats of English (British) singer - song writers. Expressing deep emotion her awesome vocal performance is poetry. The expression of love and emotion is in all her music.